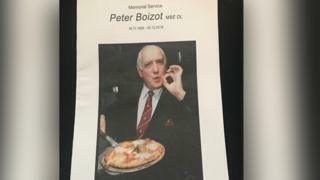 Hundreds of people attended the memorial service of the man who founded the Pizza Express chain. Peter Boizot opened his first restaurant in Wardour Street, Soho, in 1965 and it now has 490 branches around the UK and Ireland. He remained close to his Peterborough home and owned the city’s football team from the late 1990s. 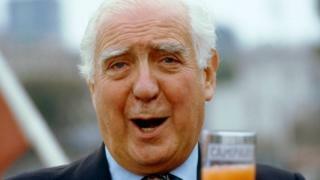 The service for the entrepreneur, who died aged 89 on 5 December, was held at Peterborough Cathedral. The most powerful link building software is here. Get high quality backlinks from authority websites within minutes. No Captchas, No Waiting - Get Links Instantly! He took on his first premises on a peppercorn rent, imported an oven and sold slices of pizza wrapped in napkins. More restaurants quickly followed and he worked with the Italian designer Enzo Apicella to develop the chain’s look. His sister Clementine Allen said he was stubborn, turning unlikely premises into “usable restaurants”. Mr Boizot also owned the city’s Broadway Theatre and Great Northern Hotel during the 2000s. Toby Wood, from the Peterborough Civic Society, said he hoped a part of the city’s hoped-for university could be named after him. 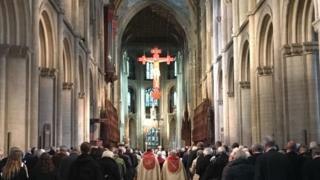 Peterborough United chaplain Richard Longfoot gave a reading at the service. 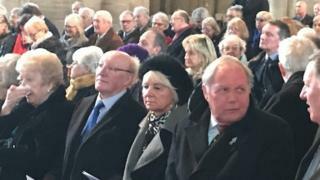 The vicar of Peterborough Canon Ian Black remembered Mr Boizot’s “enormous contribution to this city and further afield, in business, in sport, in music and hospitality and for his friendship and support”. Mr Boizot was a jazz lover and in 1969 set up the Pizza Express Jazz Club in the basement of one of his restaurants. 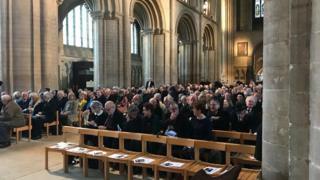 The memorial service collection will be divided between that fund and the Peterborough Cathedral Trust.